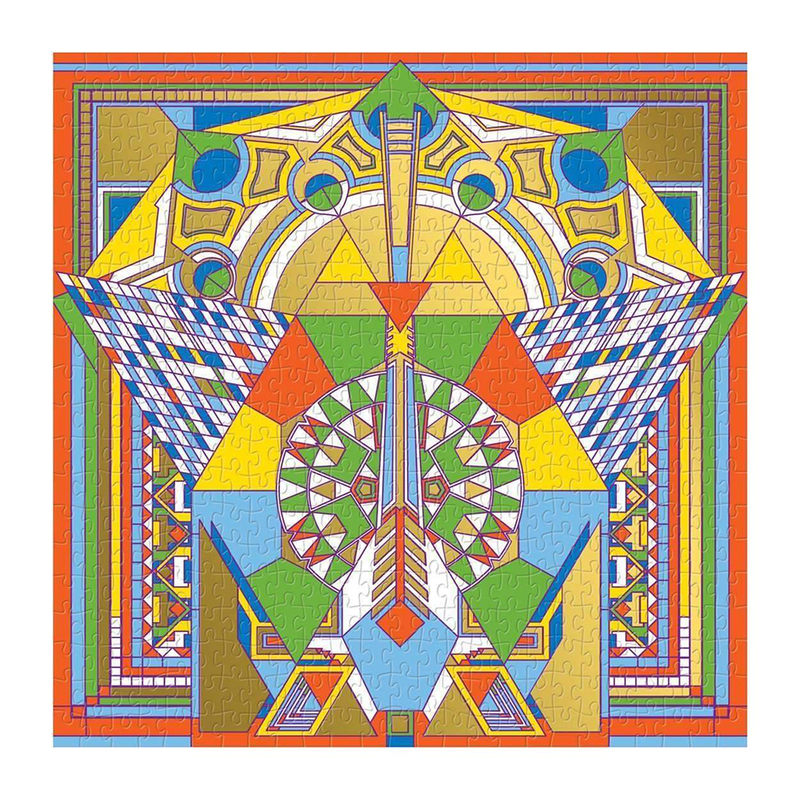 The Frank Lloyd Wright Imperial Hotel Peacock Rug 500 Piece Foil Puzzle brings shiny new glamour to the rug design. 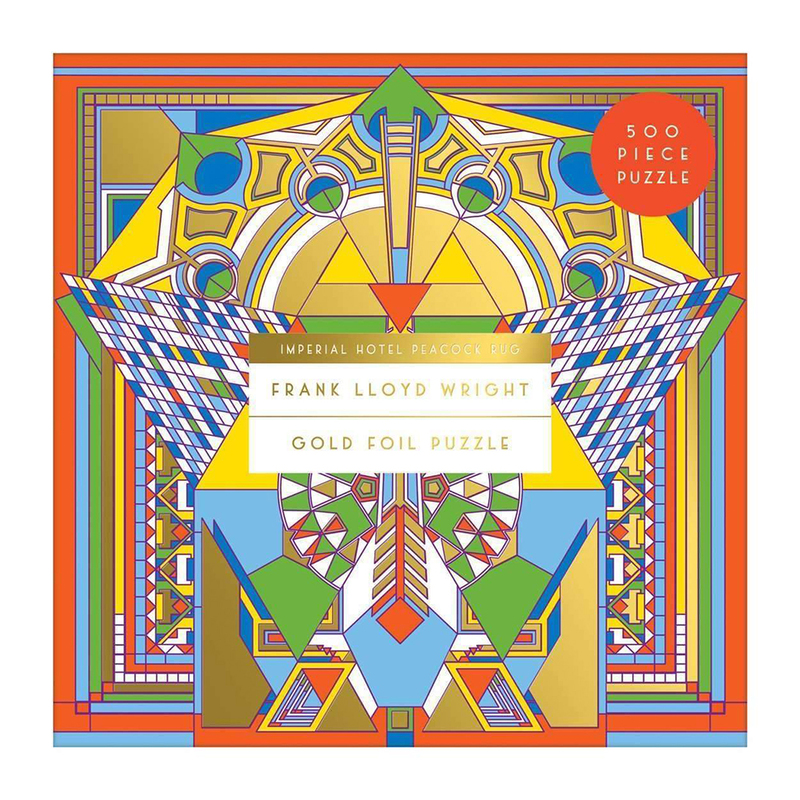 The gold foil embellishments on this puzzle bring the luxurious deco era back to life, piece by piece. Galison puzzles are packaged in matte-finish sturdy boxes, perfect for gifting, reuse, and storage.